CIRI researchers Adam Rose and Noah Dormady are developing a tool - the Business Resilience Calculator (BRC) - to measure and assess the resilience of a business in the face of a disruption, such as a natural disaster, infrastructure collapse, or terrorist attack. The BRC will allow businesses to precisely measure their resilience by assessing the potential economic impact of damage to critical infrastructure. 12/07/2018 - 4:15pm Gul Agha, ITI Professor, has been named a fellow of the Association for Computing Machinery. ACM Fellows are composed of an elite group that represents less than one percent of the Association’s global membership. The Siebel Energy Institute is a global consortium for energy research. 11/08/2018 - 2:00pm Computer systems protect their valuable assets with layers of protection, much like a castle has a moat, an outer wall, an inner wall, and a keep. Cyber attackers get around these defenses by comprising one computer at a time. Illinois researchers are trying to prevent these "stepping stone" style attacks. 11/02/2018 - 9:15am Parenting a toddler is like flying a drone. While parents may not be able to predict toddlers’ actions, designers of drone swarms could soon understand the correct behavior of a group of unmanned aerial vehicles (UAVs) thanks to the research of CSL Assistant Professor Sibin Mohan. 10/31/2018 - 4:15pm Today’s kids may be digital natives, but Sibin Mohan, ITI Research Assistant Professor and his students wanted to introduce them to the technology behind computers. CSL Assistant Professor Masooda Bashir has been named the iSchool's Centennial Scholar for 2018-2019. Endowed by alumni and friends of the School, the Centennial Scholar award recognizes outstanding accomplishments and/or professional promise in the field of library and information science. 10/10/2018 - 11:15am For many people, ‘the cloud’ describes a misunderstood space where photos and documents are stored. To ITI researchers, the cloud is the future of electric grids. 10/08/2018 - 4:00pm Increasing automotive connectivity, paired with rapid advancement in the realm of autonomous vehicles, necessitates the development of a resilient cybersecure motor vehicle ecosystem. For this reason, leaders from the auto industry and government gathered for two days at the 2nd Auto-ISAC (Information Sharing & Analysis Center) Cybersecurity Summit. 10/04/2018 - 3:15pm From Northwestern University to Rolls-Royce North America, myriad organizations from the manufacturing and cybersecurity communities convened to explore the current state of cybersecurity in the manufacturing sector, cybersecurity challenges facing manufacturers, and efforts underway to improve the cybersecurity and resilience of manufacturing supply chains. 09/27/2018 - 2:30pm The University of Illinois is teaming with ABB on two newly awarded projects funded by the Department of Energy Cybersecurity for Energy Delivery Systems program. These are the latest from an ongoing research collaboration between Illinois and ABB. 09/06/2018 - 3:30pm William H Sanders, ITI professor, has been named interim director of the Discovery Partners Institute (DPI), a new world-class innovation center led by the U of I System. 09/06/2018 - 3:30pm The University of Illinois at Urbana-Champaign’s College of Engineering announced today that Prof. Wen-Mei W Hwu will serve as acting head of its top-ranked Department of Electrical and Computer Engineering. 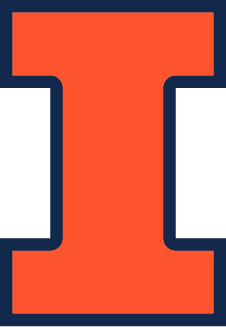 The University of Illinois at Urbana-Champaign has received a contract from the National Security Agency to lead an effort that will deepen the scientific understanding of the design of trusted systems.